The creator of 'Monument Valley' is back with a new mobile experience. Video games are good at war. For decades, games have covered the breadth, horror and honor of battle in every conceivable arena, from ancient history to futuristic space stations, from the hills of Mordor to the beaches of Normandy. Games have a long history of transforming firefights into sporting events, pitting players against one another with a wide array of weapons at their disposal. It makes sense, given where the industry started. "When our technology was really primitive, the easiest things to create were simulations of sports and of physical things and battles and sort of black-and-white conditions," Ken Wong, the creator of Monument Valley, says. "Since then we've developed so much technology and discussion, and we're able to create stories and characters with a lot of subtleties, but it feels like gaming as an industry is still hanging onto that past as sort of the true form of gaming." It's far less common to see video games tackle the other side of war and competition: the human side. Love, for instance, is rarely a central selling point for a video game. Plenty of classic action and adventure games use love as a motivation for the main character -- usually by kidnapping or killing the male protagonist's wife -- but less often do these experiences dive into the dense complexities of relationships and romance. Wong's latest game, Florence, does just that. It landed on iOS devices this week, just in time for Valentine's Day, and it's the first title out of Wong's Melbourne, Australia, studio, Mountains. The game follows a 25-year-old woman named Florence as she meets a cellist named Krish and falls in love. 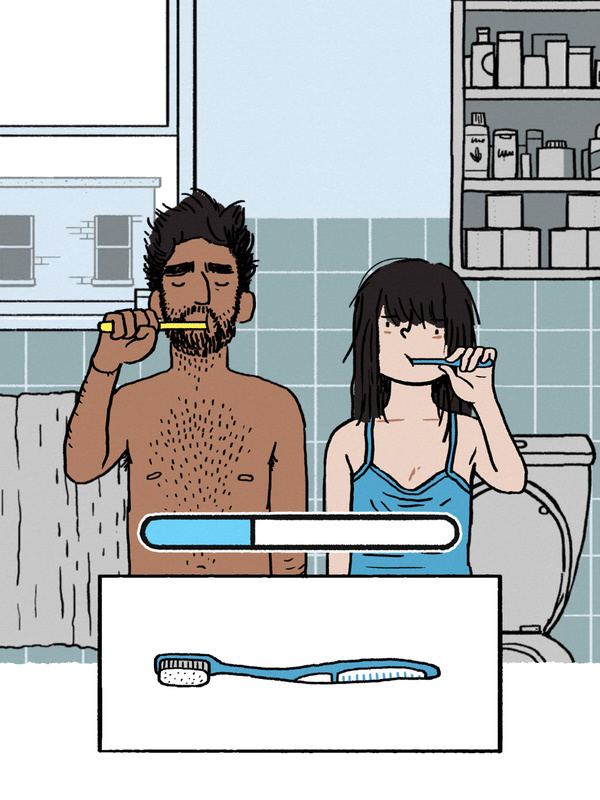 There's no real dialogue -- instead, the game plays out in snippets of Florence's life, with players guiding her through menial daily tasks and heavy relationship milestones. Krish and Florence have their first date and, later, their first argument; Krish moves into Florence's apartment and she has to find room for all of his things, sacrificing parts of herself to blend their lives together in a deeply real, relatable moment. "I found myself spending a lot of time talking with my friends and family about love and relationships," Wong says. "We celebrate that in popular media and books and film and songs. Yet it seems like this is a bit of a blind spot for games, and it felt like I'd found something that I could talk about a lot and had a lot of nuance to it." Florence isn't the first video game to cover love in this way, though it's joining a niche crowd. Just recently, Gone Home, What Remains of Edith Finch, Life is Strange, To the Moon and other independent games have proven the medium's ability to tell powerful, rich stories about love and loss. Florence dives into this genre wholeheartedly, offering players an interactive story that Wong hopes feels layered, emotionally raw and, most of all, honest. "When we started out, these characters were kind of blank," Wong says. "We had two characters, they were going to fall in love and we were going to explore the gameplay, and we tried a couple of arrangements of, physically, race and gender. It felt like what I was most familiar with was straight relationships and I didn't really want to go into LGBT relationships without having that background myself, so that was the deciding point." Wong didn't stay entirely within his comfort zone for Florence: The main character is a woman, and learning how to tell the story from her perspective was part of his personal development puzzle. Florence is entering the marketplace at a time when women are speaking up and taking action against sexism in nearly every industry, and many men are thinking critically about these issues for the first time. For Wong, Florence represents a new opportunity to traverse the world from a woman's eyes. "Over the past three years I've been just really interested in understanding how experiences are for women," Wong says. "As a man, I think it's important for me to learn more about how women experience the world, so I think I wanted to take what I learned from the stories around me and some of the experiences of my producer, Kamina, my sister Emily and some of my previous partners and my friends, and put that into Florence." Florence herself is Chinese-Australian, just like Wong, while Krish is Indian-Australian. Presenting this image of a non-white Australia was incredibly important to Wong because it rings true to his own experiences. "I live here in Melbourne now and I grew up in Adelaide, and my friends all looked different," Wong says. "They all had different skin colors and came from different backgrounds, and I don't know if that story of Australia is often portrayed to the world." This is part of building an emotionally honest game -- presenting the world as it is, rather than how it's shown on television, film or in advertising. Wong didn't want to create the 50 First Dates or Friends with Benefits of mobile gaming, filled with cliche storylines and hollow characters doing ridiculous things. Wong says Florence is more like Eternal Sunshine of the Spotless Mind or (500) Days of Summer in that it aims to present love as it exists in reality: messy, gorgeous, banal, exciting and tense. Florence is grounded in moments that feel real, like sitting on the couch together or talking during dinner. Wong's personal creative style shines in Florence, too, though fans of Monument Valley may not recognize it at first glance. Although the games are visually disparate, they share similar DNA, Wong says: "They're both short experiences where we value visual beauty and a sense of story, and there are no words -- you have to kind of figure out what to do by yourself. [But] it is different in a lot of ways. I hope that fans of Monument Valley appreciated what Monument Valley did differently and I hope that they'll appreciate that we are continuing to find new experiences with Florence." 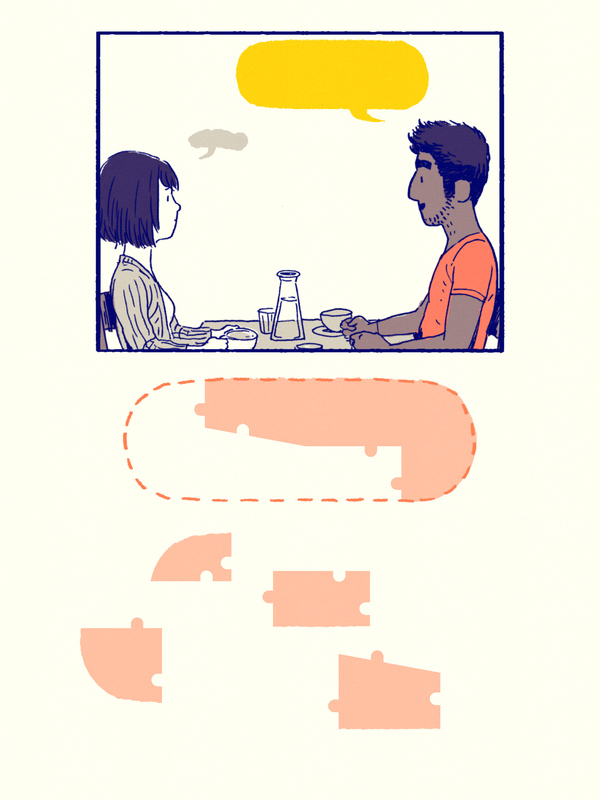 To create the sense of a real relationship, Wong blended his own experiences with new perspectives and wrapped it all up in a comic-book-style mobile experience about one of the oldest human interactions: love. Not war. "I don't think there's any game out there that's quite like Florence," Wong says. "We've tried hard to make something that a lot of people can relate to, and will maybe help them look at themselves and their own relationships and reflect."